Letitia Wright is open to the idea of making Shuri the Black Panther on the big screen. There's a lot of good that can be said about one of the Marvel Cinematic Universe's latest entries, 'Black Panther'. Chadwick Boseman did a brilliant job of bringing the titular character, aka T'Challa to life, but there were a whole bunch of different stars that were praised for their various portrayals in the comic book movie. One of those is young actress Letitia Wright, who tackled the role of Shuri in the film. Having impressed the masses, Marvel Studios president Kevin Feige reassured fans that she would be around for the long haul. What many wonder however, is if the character will one day be able to take on the mantle of the Black Panther. Mo and Rashid are the sons of two Egyptian immigrants growing up in a cultured household. However, living in the unpredictable town of Hackney in East London has had its effect on them as they have grown older, with Rashid getting involved in a local gang and Mo unhealthily admiring him. Rashid feels guilty about the life his brother is destined to lead and attempts to save for his college fees through dealing drugs. It isn't long before Rashid gets a taste of a life without violence or drug-dealing as he meets an affluent photographer who also forces Rashid to question much more about himself. Unbeknownst to him at first, Mo is becoming more involved with the world Rashid left behind which threatens to tear apart the bond between these once close siblings. Sharply well-observed, this punchy British drama is packed with rising-star talent, including its gifted first-time writer-director, an engaging young cast and skilled cinematographer David Raedeker. The film also daringly tackles hot potato issues without ever getting preachy about them: this is an intimate, deeply involving story that can't help but make us think. It's set in Hackney, where the British-born Mo (Elsayed) lives with his Egyptian parents. Mo is a sharp kid who has just finished his exams and has a bright future, but he idolises his cool big brother Rash (Floyd) and wants to join his drug gang. 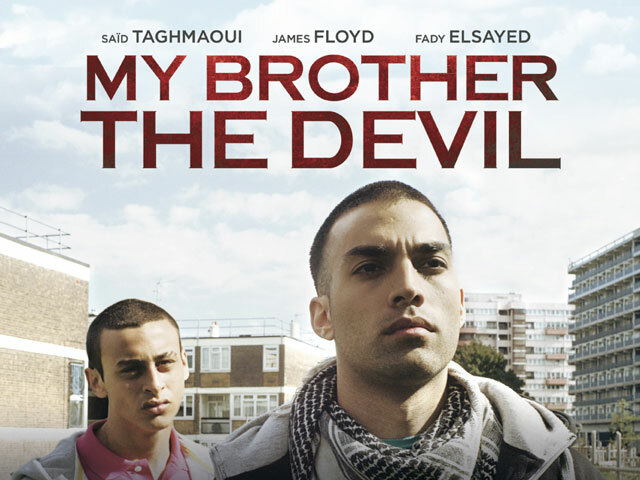 To protect Mo, Rash quits the gang and takes a proper job as assistant to a French-Arabic photographer (Taghmaoui). But when Mo discovers that Rash might be gay, he freaks out, offering to run drugs for the gang leader (Hamdouchi) and letting everyone think that Rash is actually a terrorist. Instead of the usual urban London melodrama, this story is told through the relationships, which makes it hugely involving right from the start. This also lets the actors shine with transparent, honest performances that draw out the complexity in every situation. At the centre, Floyd creates wonderful textures in his protective interaction with the expressive, likeable Elfayed. As things begin to shift, their reactions are gripping. 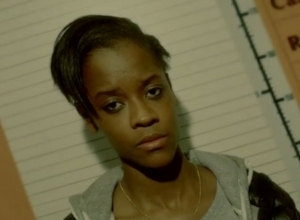 And this extends to scenes with side characters like Rash's best pal Izzi (Welsh) and Mo's tentative girlfriend Aisha (Wright).